As anyone in the tech sector knows, conferences and expos can often provide the ideal opportunity for those in the scene to network and meet potential investors or clients. It’s why Ventureburn has put together this list of expos and conferences coming up on the continent this year. The Africa Tech Summit Kigali will once again provide insights, networking and business opportunities for African and international tech leaders and investors who want to do business on the continent. This year’s edition features three tracks — The Future Summit, The Africa Startup Summit, and The Creative Summit — which will explore the latest trends and connect over 400 expected attendees. This is Africa’s foremost forum for debates on Africa’s energy solutions. The Africa Energy Indaba focuses on topics like alternative and renewable energies, oil and gas, as well as investment opportunities in African energy projects. Join this year’s Blockchain Africa Conference to learn how companies and individuals alike are using this technology, what some of the most interesting use cases and applications are, as well as what regulations are being considered and implemented across various jurisdictions on the continent. 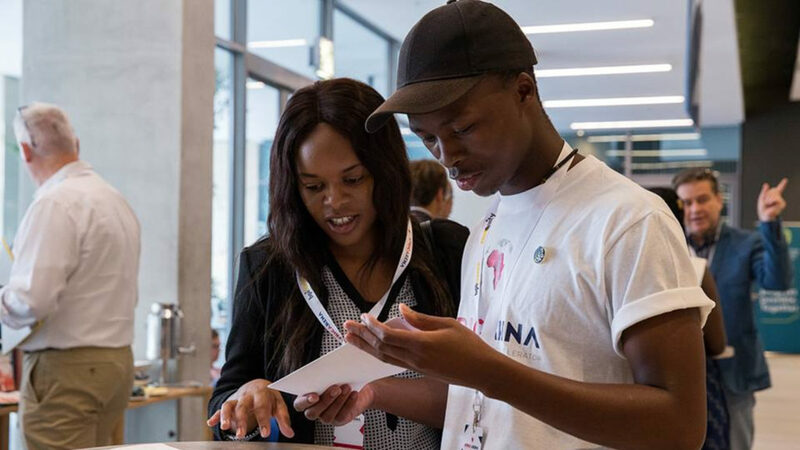 Africa Tech Week promotes digital transformation by connecting government, corporates and fresh talent in the tech industry. Africa Tech Week will also feature six individual awards, four organisational awards and the headline Best Technology Company of the year award. Women in Tech Africa is aimed at enabling people and organisations to connect, learn and take action on gender diversity and inclusion in the tech industry. Through inspirational keynotes, deep insight into tech trends and business strategy, technical classes, as well as career development workshops, this conference aims to provide content and networking opportunities needed to flourish in the tech sector. This summit will give startups the opportunity to hear the experts’ opinion on challenges such as security and inter-operability, and learn about efforts led by industry, government and regulators to deal with these challenges. In addition, attendees will get to learn about pan-African initiatives that are helping to drive innovation and enable the unbanked to enter the financial system. This conference is billed as Africa’s leading Internet of Things (IoT) forum, and for good reason. Over two days, this year’s edition — which is expected to be attended by more than 500 attendees — will feature over 30 speakers. The forum’s eight tracks — which will span manufacturing, energy, finance, transportation, retail, security, mining, government and the public sector — will prepare you for what’s happening in your industry. Now in its fourth year, the MEST Africa Summit brings together top entrepreneurs, investors, executives and ecosystem players across the globe. The summit will feature the finals of MEST’s scale-up competition, the MEST Africa Challenge, where the winner will walk away with up to $50 000 in equity investment. Last year’s inaugural AI Expo Africa proved to be one of the biggest artificial intelligence (AI) and data science events on the continent. Over 700 delegates comprising enterprise executives, investors, buyers, suppliers, innovators and global brands attended the expo. This year’s edition will have four main tracks and eight skills workshops. Attendees will learn about real enterprise case studies and the application of AI and data science in business today, available technology and cloud platforms, deployment challenges, as well as ethical considerations allied to the vibrant innovation and startup sector driving the industry in Africa. This summit has a little bit of everything for investors and startups. If you’re looking for tech entrepreneurs to invest in, you’ll have access to a selection of some of the most innovative startups and entrepreneurs who will have been selected from hundreds of applications. For entrepreneurs, the summit’s Match and Invest business matching platform is an opportunity to setup one-on-one meetings and possibly strike some deals. Inventors will also be catered to at the Inventors Garage, a platform to demonstrate early-stage prototypes and products. Overall, the summit will cover six areas of interest, namely fintech, edtech, big data and science, cities of the future, agritech and biotech. EduTECH Africa is one of the continent’s largest education conference and edtech exhibition platforms. Over the course of two days, leading solution providers showcase a wide range of tech aimed at transforming Africa’s edtech industry. The conference features keynotes from pioneering experts who are already changing the industry, as well interactive experience zones that allow buyers to interact with and use live products. This summit aims to join the dots between innovation and practicality, by presenting the latest healthcare tech and showcasing their practical application and integration into existing healthcare infrastructure. The annual summit , now in its fourth year, will tackle topics that include robotics, electronic health records, artificial intelligence, Internet of Things (IoT) in healthcare, driving down the cost of care with technology, security, legal impact of ehealth, healthcare policy, telemedicine advances, and the future of healthcare. This annual pan-African conference focuses on the use of ICT to support education, training, skills and knowledge sharing across all sectors of Africa, enhancing sustainable development goals across the continent. The conference is one of the continent’s largest gathering of elearning and ICT supported education, learning and training professionals, enabling participants to develop multinational and cross-industry contacts and partnerships, as well as to enhance their knowledge, expertise and abilities. If you want to rub shoulders with the who’s who of Africa’s telecoms and tech industry then AfricaCom is the place to be. The conference brings together 14 000 attendees, 450 speakers and 400 exhibitors across nine tracks. If you deal with connectivity infrastructure, disruptive technologies, digital services or ICT strategy, this is the place to network, learn and get deals done.